The Montessori approach to teaching was developed by Maria Montessori, who believed that children learn through sensory exploration. She encouraged a child-driven approach to education, because she felt that when given some freedom and the right materials and environment, children will automatically lead their own learning based on their interests. 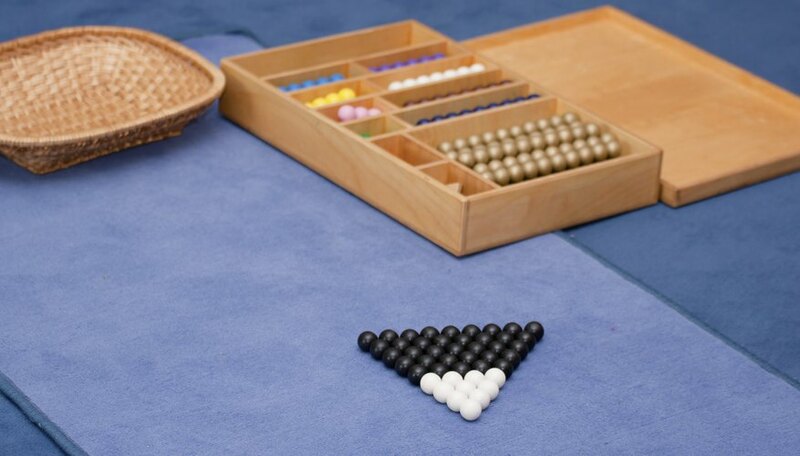 Montessori methods for teaching counting follow this theory of minimal guidance. The Montessori philosophy suggests that children are naturally drawn to mathematical activities in an effort to understand the world. Children prepare for counting skills by learning to identify the numbers. Numbers one through 10 are the foundation of math. Children must learn the names, symbols and quantities that these numbers represent. As children learn to say the numbers, use number cards to help them explore what the numbers look like when written. Have them practice putting numbers in sequence. Place one card on the table and invite a child to place the remaining cards to the right in the proper order. The child can place counters under each card to represent each number's quantity. Montessori number rods help reinforce the growing quantities associated with numbers one through 10. Use 10 wooden rods of varying lengths, ranging from 10 centimeters to 1 meter. The rods are colored in an alternating red and blue pattern. For example, the first and smallest rod is red. The second is divided into two sections of 10 centimeters each. The first section is red and the second is blue. Encourage the child to lay them out in a stair-like pattern, one on top of the other, shortest to longest. Then count with the child from one to 10, pointing at each rod as your finger goes down the stairs. Rote memorization does not encourage deep understanding of mathematical concepts. Montessori believed that children need to use concrete materials to graphically see what happens during a mathematical process. The Montessori spindle box activity involves a long wooden box with 10 slots, numbered zero to nine. Explain that the numbers tell how many rods to place in each slot. Children then independently place the appropriate number of spindle rods into each box, beginning with no spindle rods in the zero slot. The spindle box activity helps children see rising quantity as numbers increase and teaches the concept of zero. Once children are very familiar with the numbers through 10 and their quantities, gather the group and give each child a small, folded piece of paper with a hidden number on it. Set up collections of materials around the room, such as crayons, cotton balls, paper clips and paper squares. Each child will get a turn to open his secret number. During his turn, tell him which type of object to collect. The child will then go and get the number of objects stated on his paper. This activity pushes children to remember a given number and its associated quantity and then transfer the information to an everyday task, requiring children to count on their own. Pancare, Rachel. "How to Use Montessori Methods to Teach Counting." Sciencing, https://sciencing.com/use-montessori-methods-teach-counting-4530551.html. 24 April 2017.